When Jesus was leaving, he saw a man named Matthew. Matthew was sitting at his place for collecting taxes. Jesus said to him, "Follow me." Then Matthew stood up and followed Jesus. Not only does Jesus have the authority to forgive sins, he has the authority to command sinners to follow and they follow. They respond with a change of heart and behavior. 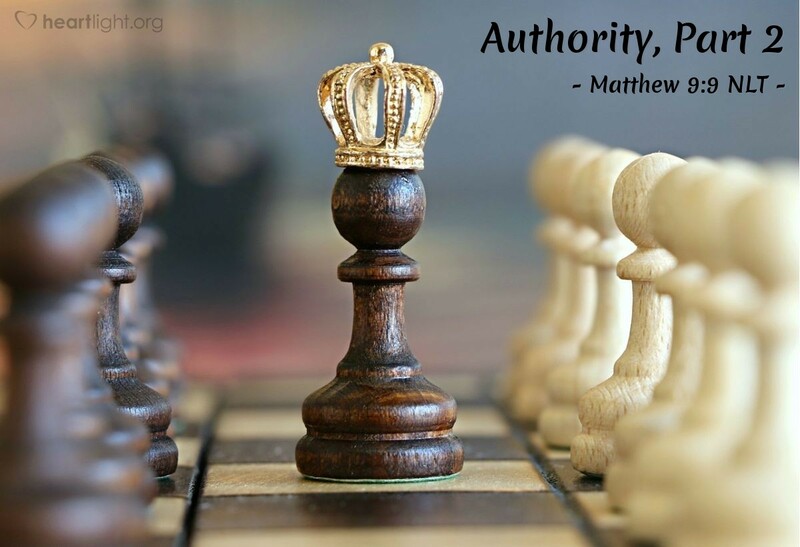 A classic example is Matthew the tax collector—tax collectors in Jesus day were renowned for using their position for personal gain and were associated with traitors who sold out to the Roman occupiers. He is a great witness that Jesus cares for all and goes in search of all. He is a great reminder that redemptive love allows no cultural or social barriers to love. Matthew's response is the great reminder that many sinners are looking for a Savior. All they need is someone to show them how to get him. Holy and merciful God, thank you for coming to this world to save sinners. I thank you for the grace you've given to me. Please help me be more gracious to others and come closer to your grace and forgiveness. In Jesus' name I pray. Amen.